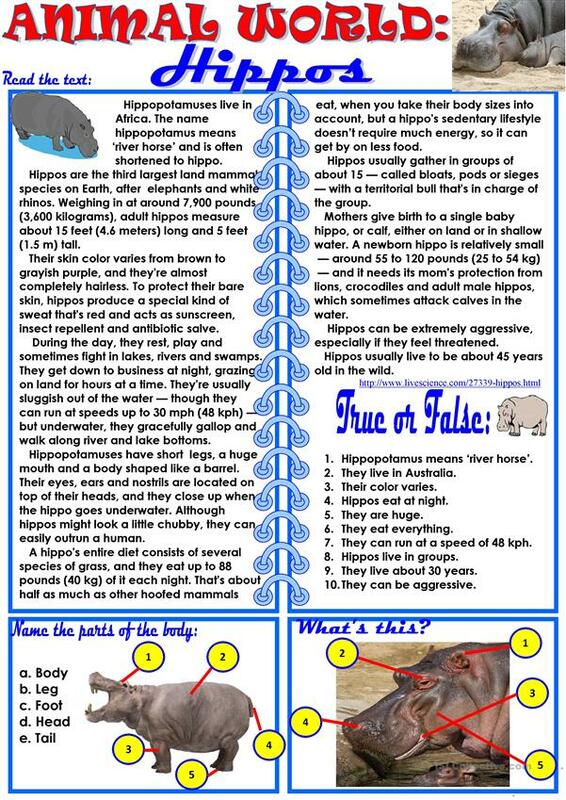 You can find important information about hippos in the text and then check the contents of the text using three exercises added to the text. I hope you can enjoy this ws. Thank you! The present printable, downloadable handout was created for high school students, elementary school students and adults at Elementary (A1), Pre-intermediate (A2), Intermediate (B1) and Upper-intermediate (B2) level. It is excellent for working on your learners' Speaking and Reading skills. 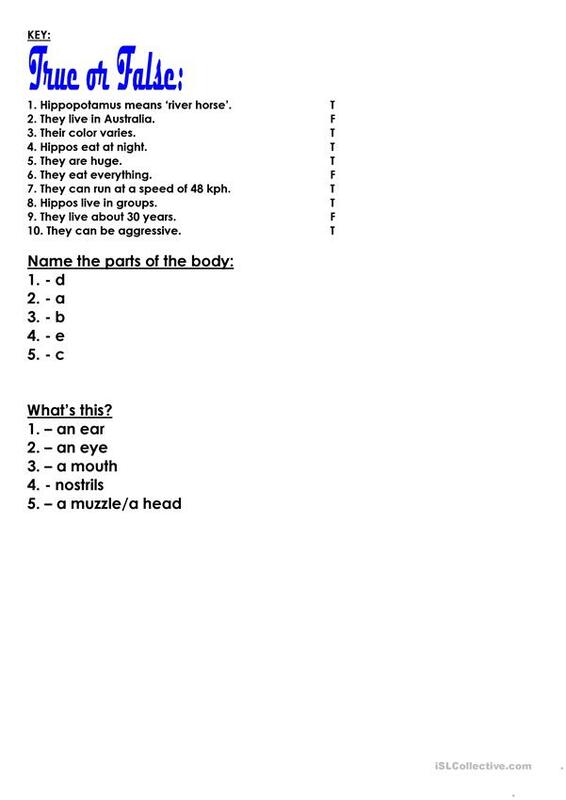 It focuses on the vocabulary topic of Animals. The exercises come with a key.